For the list of past topics and future schedule, click here! I think (hope) those are manageable goals for this year. I look forward to seeing what every one is challenging themselves to do this year! Nothing like refining your goals through a series of posts. :) You have some super ambitious goals this year. I'm impressed. I'm reading LOTR this year, too. Actually it's a reread, and I'm right there with you on the TBR reads. So important. Happy reading! Oh, I absolutely ADORE the Discworld. Making Money is one of my faves, but the entire Sam Vimes series is also well-loved. Good luck with your goals & I hope you find a suitable balance between sewing and reading! I recently blogged about my 2013 goals while celebrating my blogoversary. I always plan on not buying another book until reading 5 from my shelves, and I think it has yet to work. The problem is that sales and kindle daily deals come along and I just can't resist. These sound doable. You'll feel especially good after you do 3 and 4, probably the hardest because we keep lusting after new releases. Happy reading in 2013. My post is up. Finishing some of my unread books over newer ones to my collection is also on my list. Great list of reading goals. Good luck with completing them all. I completely understand being torn between two hobbies! You have to find some balance. #3 Reading books you already have before buying more is soooooo hard to do! And I thought reading a book of short stories was a unique/fun goal! I enjoyed Laini Taylor's Lips Touch Three Times. "3. Read 5 books from my shelf before buying more (always a difficult one "
I agree, this is a tough one! I hope you achieve some, if not all, of your goals this year! Good to see I'm not the only one who struggles to read books I already own because I keep purchasing/borrowing/receiving new ones! I think your short story resolution is great. I feel like I never explore essays, short story, or poetry, but it would be good to try it out. I hope it goes well! Finally got around to joining in on this! This is a great list! I want to read more books I own before I go out and get more. Good luck with your goals! Great goals! I am hoping to finish the Lord of the Rings trilogy this year too. I read the first one last year, now I just need to make time for the next two. Great goals! I hope you are able to get to the Lord of the Rings trilogy, it is awesome. I went more bookish resolutions than reading goals, but the idea is the same! :) Good luck to everyone with their goals! I wish you luck with your goals, and extra luck with #3. Buying books are so easy...but actually reading them isn't always so easy. Good luck with all your sewing! I really like your goal of reading a book of short stories. I don't do that nearly as often as I would like. Look forward to seeing your progress! Goals are awesome! Thank you! Ooooo - I should read Lord of the Rings!!!! We have a lot of the same goals, and I'm surprised to find that I'm not the only person on earth who hasnt read the Lord of the Rings, haha. Thanks! Great list! I love Lord of the Rings and the Discworld series, so I hope you enjoy both of those. Good luck with your goals! Love your goals. I share many of the same ones. I hope you are able to get to do all of them this year! Excited to try and stick to my goals. Wish everyone else luck as well! Great goals, especially the one about reading more of what you have before getting more books! I'm just not sure I could stick to that one! Great goals. Best of luck to you! Great list! Although I didn't even THINK about reading books before buying any more, because I know I just can't do it. Check out my list here if you'd like to. I'm going to try to read more of my owned books as well, lol, much as it pains me! Great goals! Love your list! I too am hoping to read short stories in 2013 - I find that that is something I can actually commit to in my after-work-zombie mode. Thanks for sharing! 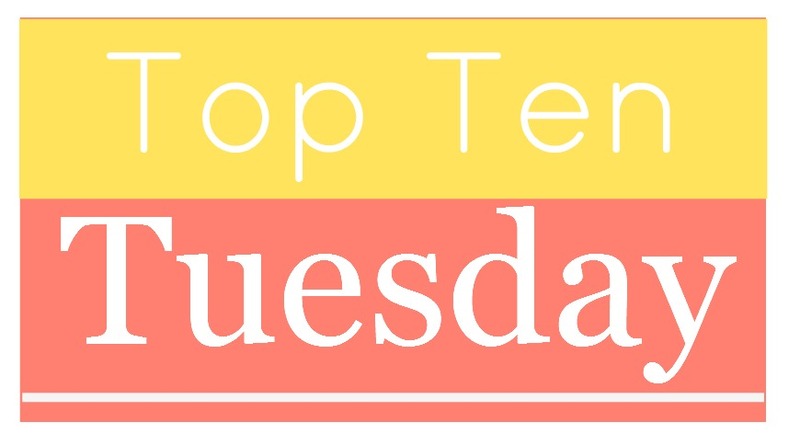 Just joined in on the Tuesday Top Ten fun! Reading LOTR is on my list, as well as a new genre/book series to attempt. Good luck reaching your reading goals! This meme really got me thinking about my goals and I appreciate it! Thanks so much! I hear you with trying to read books you've already bought before buying any more. Right now my budget is kind-a tight so I really hope I can do this one too! Ooh great goal "Read a 500 page book" I have read a lot of books, but not many over 500 pages lately. I'm noticing that "stop buying books" is a common one. :) I know the feeling. Ooh, Discworld. That series is so awesome. I need to dig back into that one too. Your goals are great! Especially number 8! I have barely read ANY short stories! I always think it would be hard to connect to the characters in only 60 or so pages. Write a post on any good short story collections you find! I love the simple goals you listed. Mine are more long-winded. Typical! 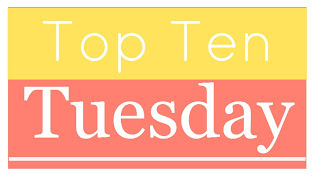 This is my first time doing Top Ten Tuesday. Thanks for hosting such a great meme. Don't know why it took me so long. I may have to tweak my goals, but At least I have them written down now!